Looking for Valentine’s Day activities for kids? Clever Little Monkey is here to help. We know how important pretend play is for childhood development. What is equally important is quiet time. Crafting with your little one is one of the most effective ways to help your child develop core skills that will help with problem-solving, creativity, imagination and motor development. These Valentine’s Day activities for kids are also a good excuse to enjoy some good old-fashioned bonding, as you help your child and complete crafts together. You don’t need much to get crafting, besides some quality art furniture, an hour or three and a few basic supplies. To get started, have a look at our list of adorable Valentine’s Day activities for kids below. Perfect for toddlers and smaller kids, heart lacing is a fun way to develop fine motor skills. Cut out heart shapes from foam and use a punch to make holes along the edge. You could also use thick cardboard to make the hearts. 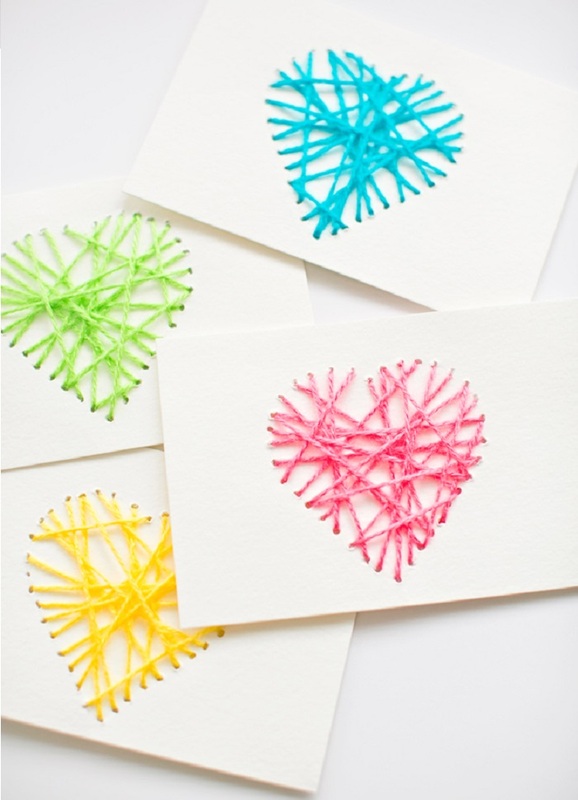 Ribbon, yarn or even shoelaces can be used to thread these gorgeous hearts. Older kids will love these amazing yarn heart cards, which allow for a more complex design than the simple laced hearts above. Trace a heart shape on the card, then punch holes evenly around the heart outline. Using a large gauge needle and colourful yarn, the heart shape quickly comes to life as a 3D design. This card is great for fine motor skills and coordination in children of 7 years and above and requires a bit of supervision as sharp needles are used. This card is relatively simple if you have a laminator. Cut out a heart shape for the front of the card, using a craft knife. Next, cut out two layers of laminate for the heart-shaped pouch. If you don’t have a laminator, you could use clear cellophane for the cover and pouch. Make or buy paper or tissue confetti. 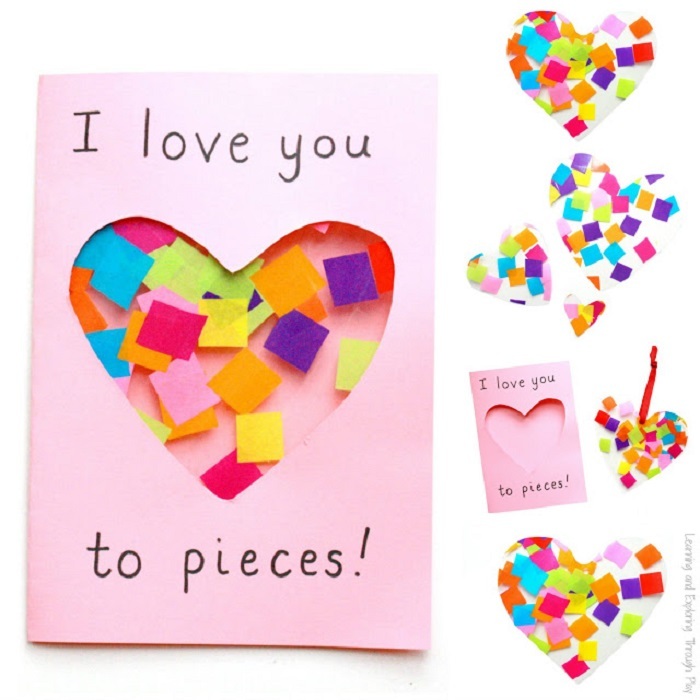 Fill the heart pouch with the confetti, seal using laminator or staple/stitches and then position the heart on the inside of the card, so that it peeks out from the heart cut-out on the front. Ideal for babies and toddlers, these oh-so-sweet thumbprint hearts are a fun way to develop gross and fine motor skills. What is great about this activity is that it requires very little planning or supplies besides paper and paint. 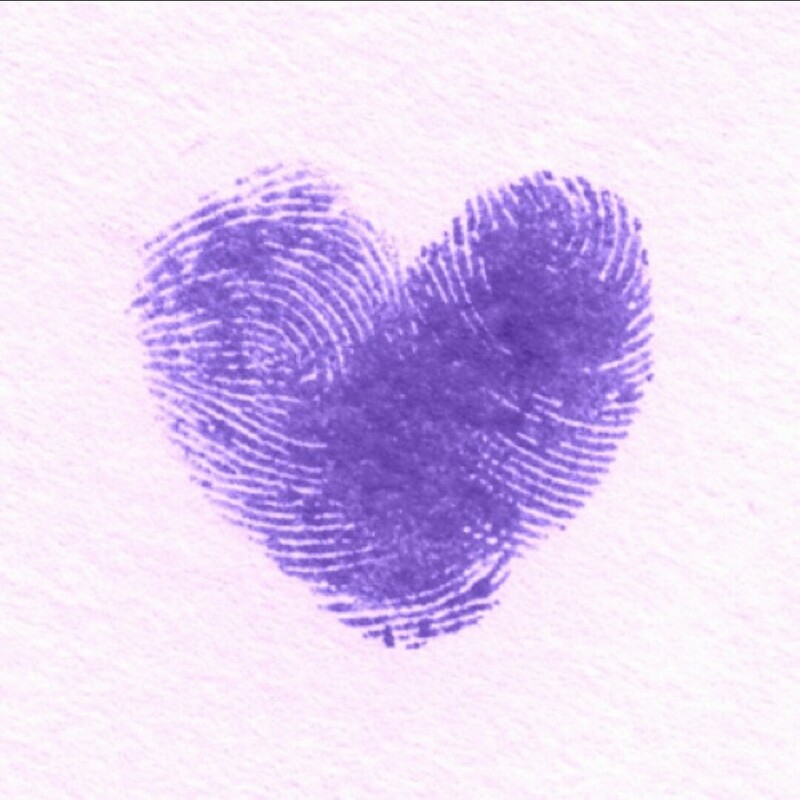 Get creative with fingerprint hearts and see what other designs can be made. This activity is perfect for kids of all ages, from toddlers to teens. The beauty of these hearts is that they can be simple or complex. 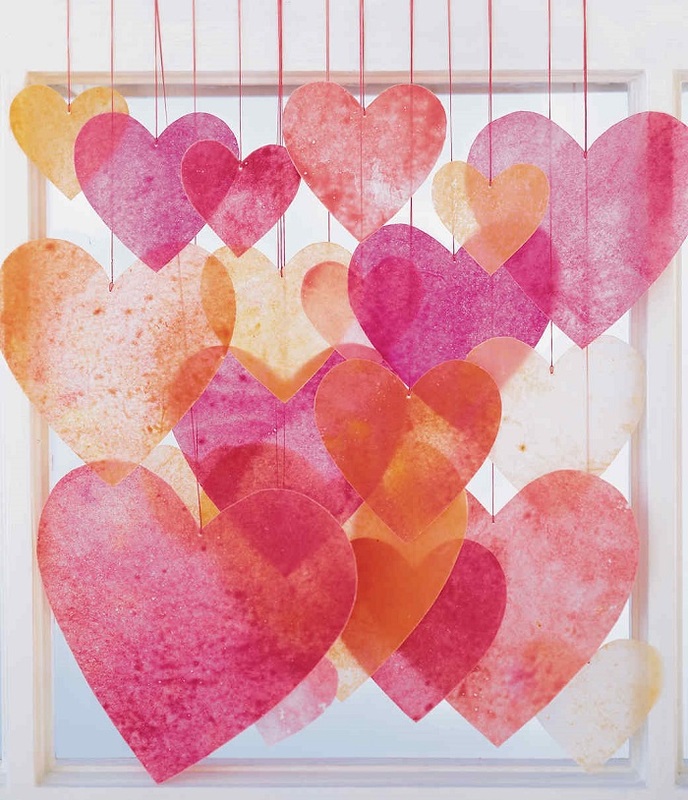 The concept is simple – wax paper hearts are covered in crayon designs, and then ironed until the wax melts onto the paper. Smaller kids will need supervision, but tweens and teens can cut out their own hearts, and even iron the hearts themselves. The hearts can be large or small, solid or patterned, created and hung alone or used to make a larger mobile. 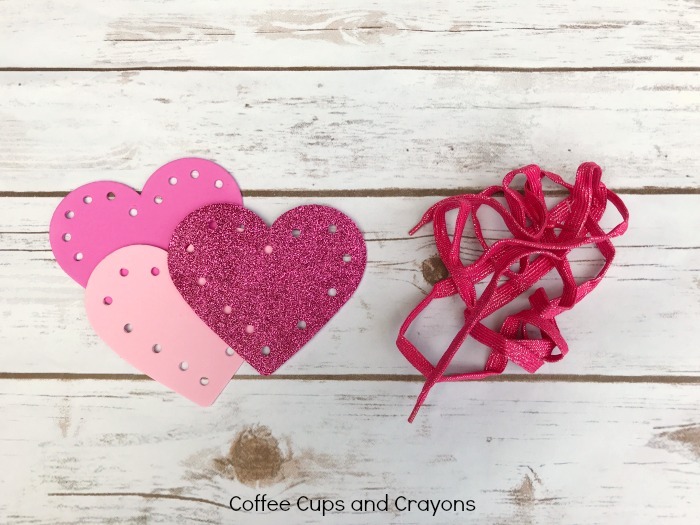 Whether making a present for a parent, teacher or potential crush, these Valentine’s Day activities for kids are a fun way to prepare for the day of love.